Conservation workers in New Zealand have attempted to coax pilot whales back into the sea, after they got stranded on a beach. 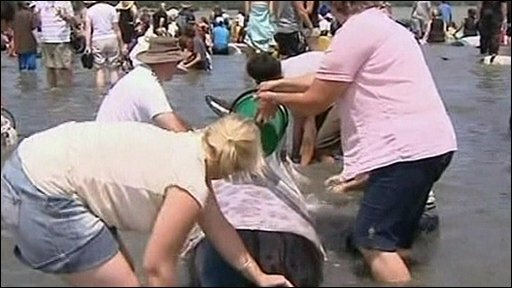 Hundreds of volunteers tried to keep the mammals wet throughout the day. Around 125 whales died, whilst 43 others managed to swim free from Colville Beach on the North Island's Coromandel peninsula.